Join the SANS Institute and WSC for an insightful presentation about the SANS CyberTalent Women’s Immersion Academy. This academy is designed to help qualified women in Maryland and Chicago - area receive training and certifications to quickly and effectively launch careers in cybersecurity. The Immersion Academy is an intensive, accelerated program designed for completion in six to eight months, depending upon program selected. The program is at NO COST to the selected women who attend and includes training and certification. Max leads the CyberTalent division of the SANS Institute, the most trusted and the largest provider of information security training and certification in the world. In this role, he directs business development and stakeholder engagement to support the various SANS CyberTalent programs and develop strategic partnerships. He also oversees CyberTalent program operations and staff management. 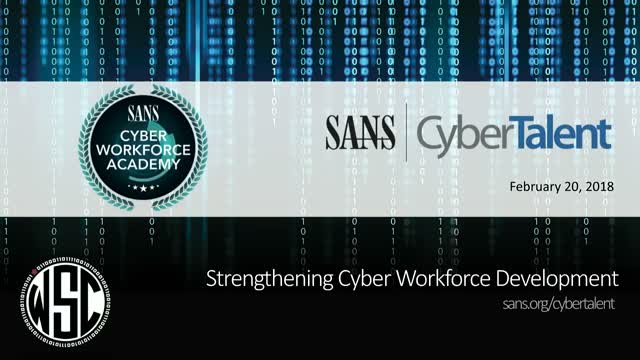 SANS CyberTalent helps organizations address their cybersecurity workforce development needs through initiatives such as the VetSuccess and Women's Immersion Academies as well as the Assessment tools. Max has worked in the public affairs and stakeholder engagement arena of cybersecurity for the past eight years, working with Government, corporate, and not-for-profit organizations, most recently as a Vice President at Cambridge Global Advisors, a homeland security strategic advisory services firm.